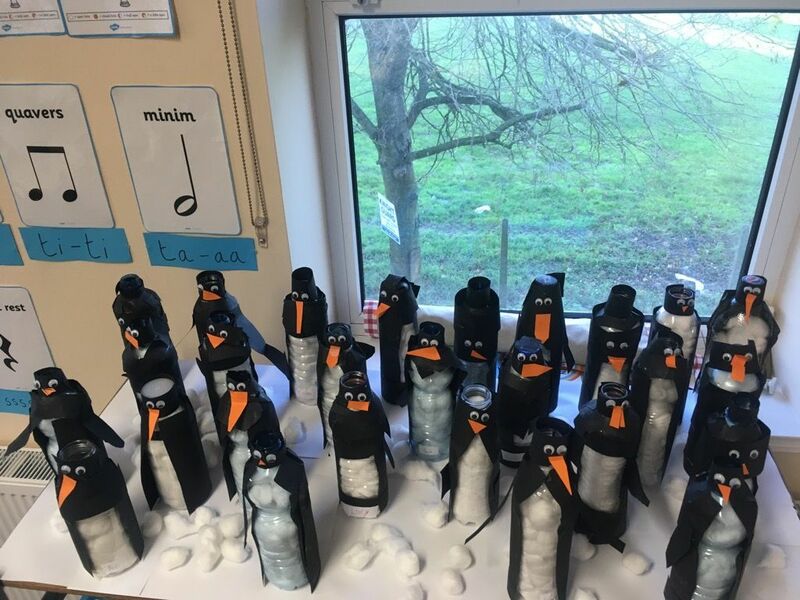 We made penguins using recycled plastic bottles. Don’t they look great! 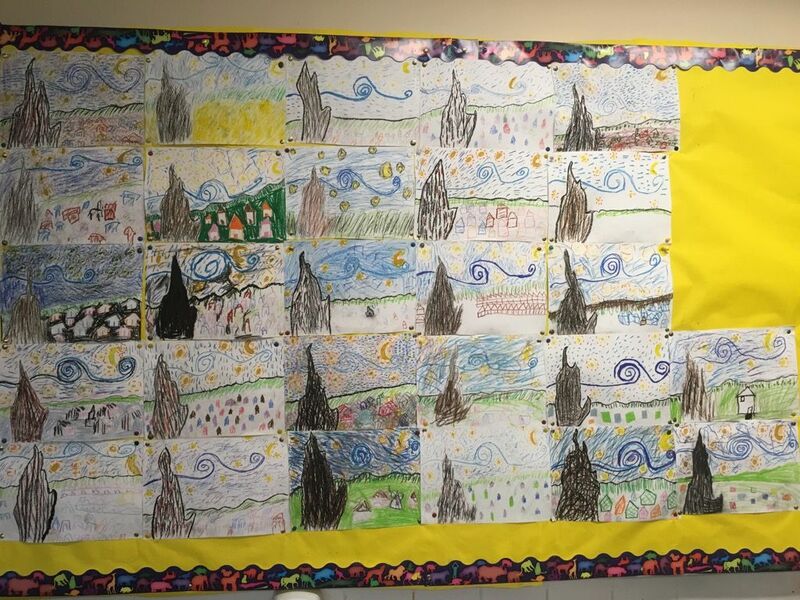 We studied the artist Vincent Van Gogh and did our impressions of one of his famous pieces. Here is our effort of Starry Night.